I've had Invisalign for nearly a year and the end is near! I am on the last leg of my orthodontic treatment. I never had braces as a teenager and while I was thankful to miss out on that rite of passage, the older I got, the more my crooked teeth started to bother me. I was spending a lot of time in the orthodontists office with my three kids and while I was in for a consult with one of my them, I decided to get a consult for myself. Thankfully, I had healthy teeth and dental insurance that would help pay for some of the treatment and now a year in, I'm so glad that I got braces as an adult. 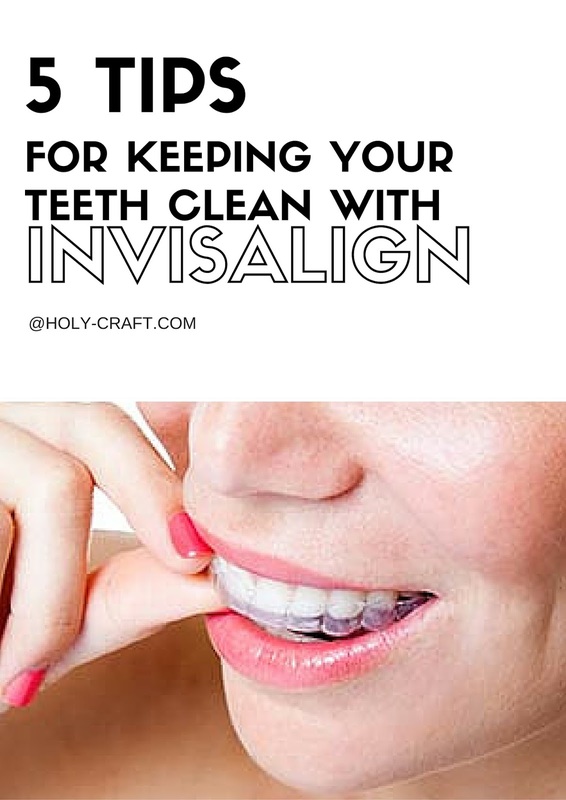 If you are considering getting adult braces, in particular Invisalign, I wrote a post with 15 things you should know before you get them. Once you have them, you are going to want to know how to keep your teeth clean and fresh while you wear your aligners. I've got 5 tips for keeping your teeth clean with Invisalign. I was much more religious about this when I first got my aligners, less so nearly a year in. My teeth feel so much fresher when I take the time to brush after I eat, though it's not always possible. With Invisalign, you have plastic aligners that fit snugly on your teeth. Those aligners are taken off when you eat. Normally, your saliva will clean off your teeth naturally between meals, but with Invisalign you put your aligners back in and you trap in all that gunk. Taking the time to brush after you eat is the best way to keep your teeth clean when you wear Invisalign. If I don't have time to brush, I try to at least rinse my teeth with water. I do this especially if I have had my morning coffee. You don't need to remove your aligners when you drink water, you do need to remove them if you drink coffee. 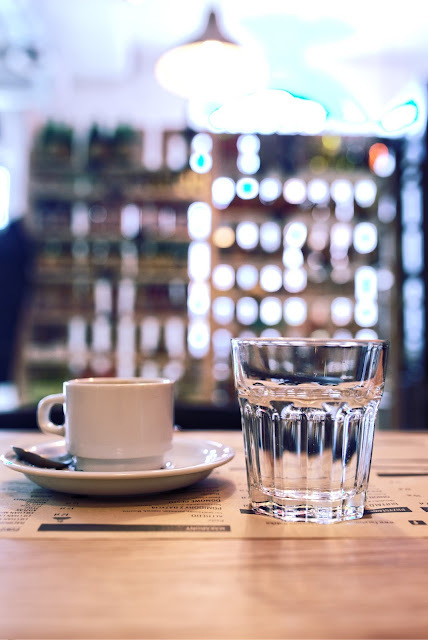 I keep my aligners out for a few more minutes after my morning coffee and try to chase it with an 8 ounce glass of water. My orthodontist gave me a denture bath when I first got my Invisalign. You can find a similar one for under $10 on Amazon. Your aligner trays get gross and they need cleaning too. Not only do I take my toothbrush to them every time that I brush, I also soak them in the denture bath once a day, usually during dinner. Good oral health affects your overall health, which is why it's important to keep up on those dental appointments every six months. You are spending a lot of money getting straight teeth, it's so very important to make sure your teeth are healthy too. Those cleanings and regular check ups are imperative! If you don't have dental insurance, you can find easy affordable dental insurance through Guardian Dental. A trip to the dentist costs money and if you have a family those costs quickly multiply. I can't imagine not having dental insurance to help us cover the costs of our routine dental appointments and any not so routine procedures that may occur. You can brush your teeth and keep your aligner trays as clean as you can on your own, but there is no substitute for a regular cleaning. Make those appointments every six months with your regular dentist and make sure you are prepared with dental insurance. In the wise words of Jimmy Fallon, everyone looks so much better when they smile! 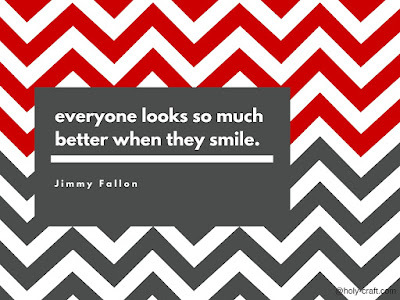 Keeping those teeth clean will give you the confidence you need to smile.